Jazmine Sullivan tackles relationship issues on a new album singles. 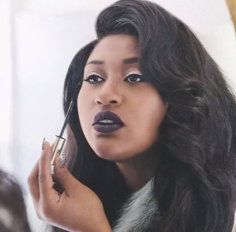 If you're not up on Jazmine Sullivan yet, it's about time that you got caught off. One of the most talented singer-songwriters in this generation of R&B artists, the Grammy-nominee is readying her third solo project, Reality Show--her first release since late 2010. "Mascara" is the latest record to come from the album. Touching on gender roles and superficial beauty, the song finds our narrator taking advantage of various lovers, using make-up to lure brainless onlookers, all while confessing her lack of education or a proper job. It's a poignant satire that preaches and entertains with equal regard. Don't I deserve to be privileged?